The Two-Year-Old Class has a bright, fun-filled room where they will develop independence from Mom and Dad. There will be hands-on flannel board stories, singing, puppets, circle time, recognizing their ABC’s, working on fine- and large-motor skills, and learning how to be a friend. This they will do while the parents can be assured they are in a nurturing, caring, and safe environment. 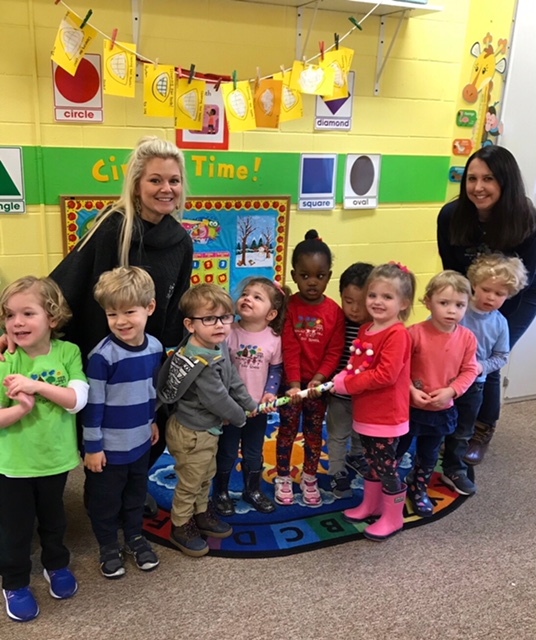 The two-year-old class won the Spirit Stick...they have school spirit! Our Three-Year-Old Class provides a wonderful learning environment where your child will develop social, emotional, cognitive, and fine-motor skills. Our spacious classroom is complete with many individual learning centers to expand your little one’s imagination. Our dedicated teachers have over 23 years teaching experience, and they love what they do. We provide many hours of fine-motor skill development with cutting, handwriting, and arts and crafts. Early phonics is taught with a short vowel sound emphasis. Our students are evaluated twice a year to make sure they are prepared for the Four-Year-Old-Class. This classroom is not limited to the standard Montessori material, but rather includes a variety of activities that lend themselves to the Montessori Method of Education. Within a carefully prepared environment, the children are free to choose from among the activities that have been chosen to meet their developmental needs and broad ability and interest levels. Using individual, small-group, and large-group instruction. I allow the children to explore sensorimotor activities, science, mathematics, language, social studies/geography, and art while developing independence and self-esteem. Children are encouraged to think creatively, analyze, and apply what has been learned. The discipline is through example and expectation -- showing respect and earning it -- and the classroom’s ground rules allow the children to develop respect for others and themselves. 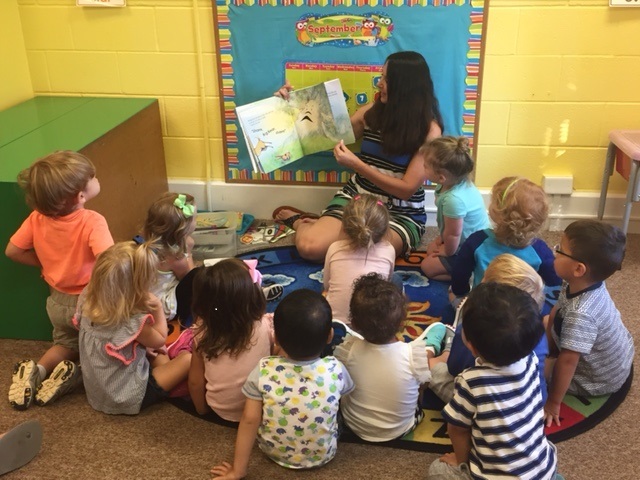 In our Pre-Kindergarten classroom the goal is to prepare children for the next step in their education. This is to benefit the welfare of the “whole” child: the emotional, physical and academic success of the student. Emotional success begins with a positive self-image and the ability to recognize good choices and respect others. The physical success begins with many fine-motor activities enhancing the child’s ability to master proper letter/number formation. Then lastly, academic success is achieved through fun-filled interactive activities that are designed to keep students engaged and learning in a positive, nurturing, and motivating environment. Celebrating Moms in Ms. Beth's class! The Kindergarten class works to increase the development of each student’s academic skills through meaningful, interesting, and joyful instruction. These include Shared Reading, Guided Reading, Daily Phonics, Writing, Math, Science, Geography/Social Studies, and Art. Every day serves as a captivating learning experience in which the students are free to join and participate in all activities. Students gain a solid foundation in core subjects as well as a strong sense of self-confidence. They develop a strong work ethic and a love for learning that will nurture a lifetime of achievement.